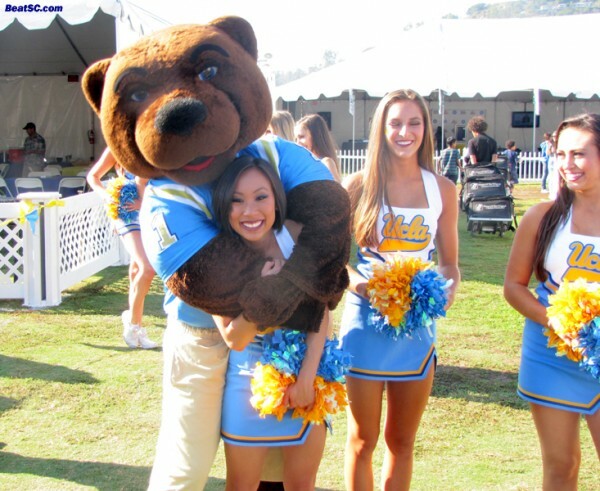 Some people are mad that UCLA uses so many different shades of blue in their marketing and merchandising. 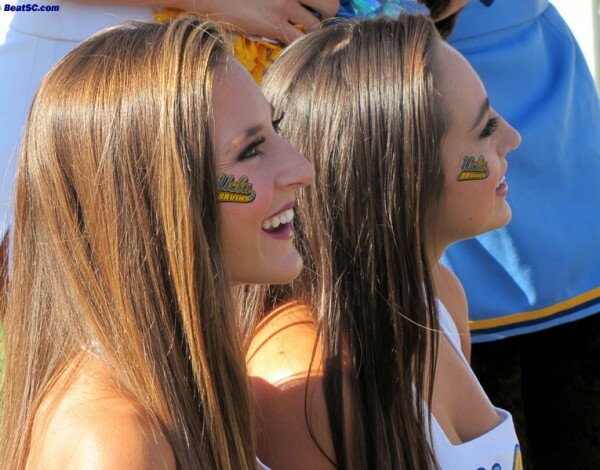 They insist that UCLA should settle on one specific hue, and stick with it. 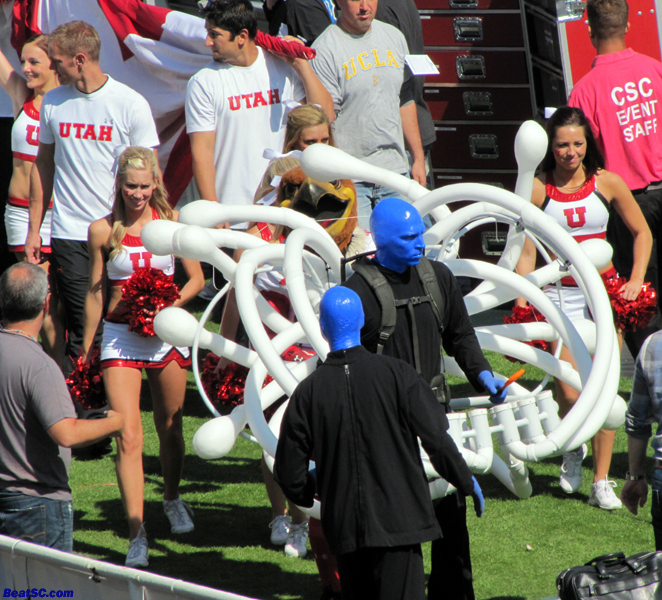 If you go to the student store, or look around the crowd at the Rose Bowl, you will see unlimited shades of blue, from a very light powder blue, to a dark, more traditional navy blue. I think this is a non-issue. I don’t mind being able to wear ANY blue and still feel like I’m “in the spirit.” Why can’t the Bruins “own” all the different hues in the blue spectrum? 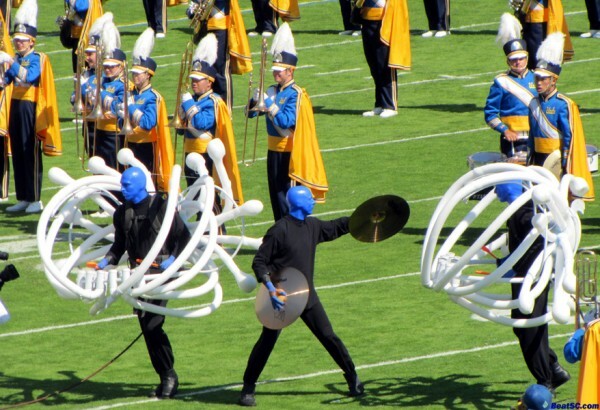 I love the blue that is currently used in the home Football jerseys, but it is apparently too difficult for the World’s manufacturers to perfectly duplicate it, so let’s just be satisfied with having VARIETY. 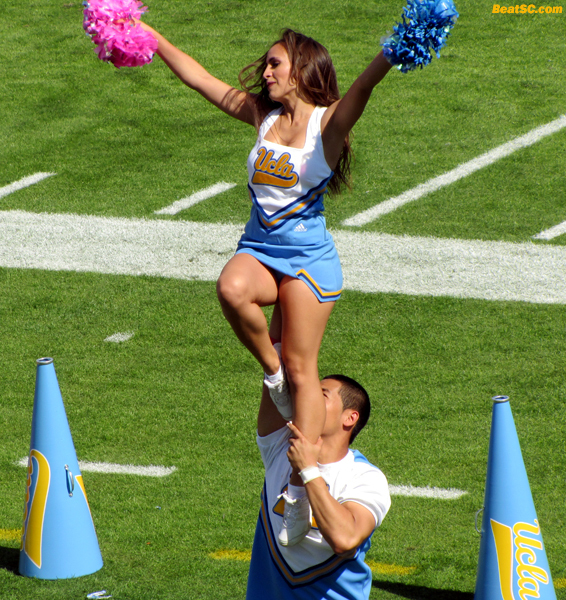 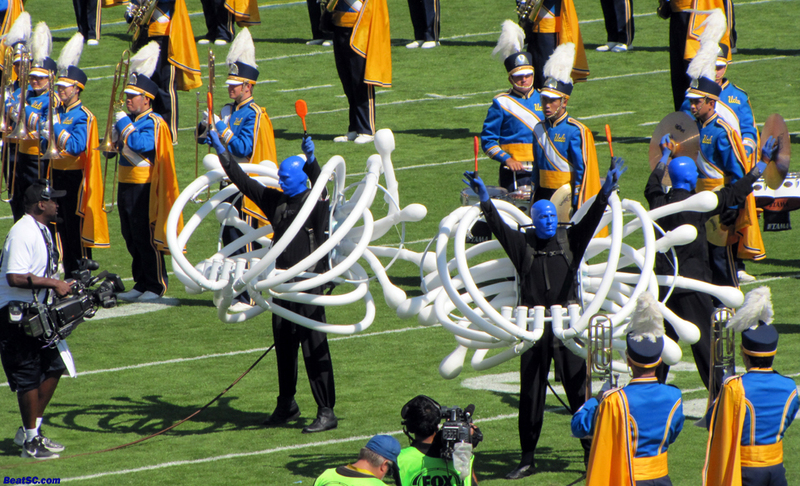 Besides, the UCLA Cheerleaders look amazing in any type of blue. 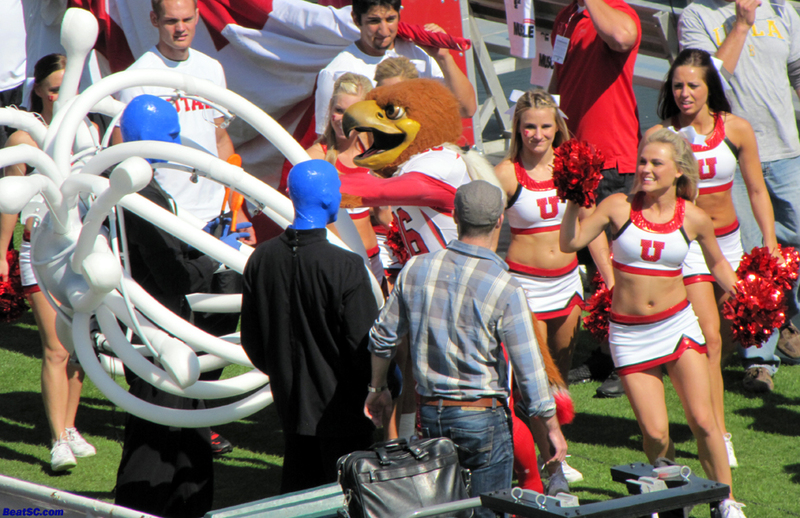 And as you will see, the Utah Cheerleaders actually make red look pretty good. 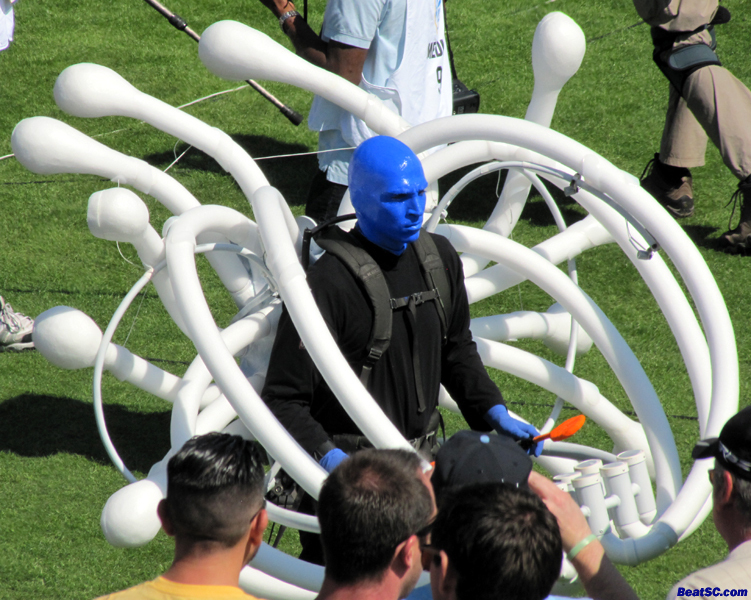 So enjoy the rainbow, which ends with a few more peeks at Blue Man Group. Don’t forget that you can click on the horizontal pics to expand them to fill your widescreen monitor. 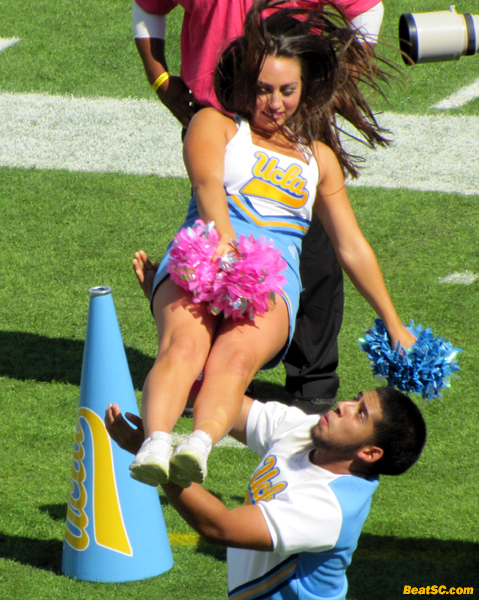 "50 SHADES OF BLUE AND GOLD (AND RED)" was published on October 15th, 2012 and is listed in Non-Rivalry Photos, UCLA/usc/Cheerleader Photos.